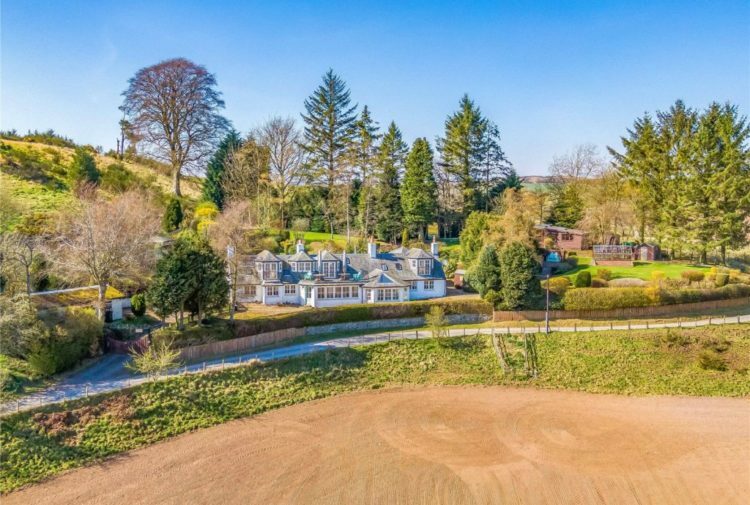 A traditional five bedroom farmhouse with private garden grounds, with additional properties, is for sale in central Scotland. Ballochruin is an attractive residential estate situated in a unique development set round a courtyard comprising four individual residential properties and an art studio. 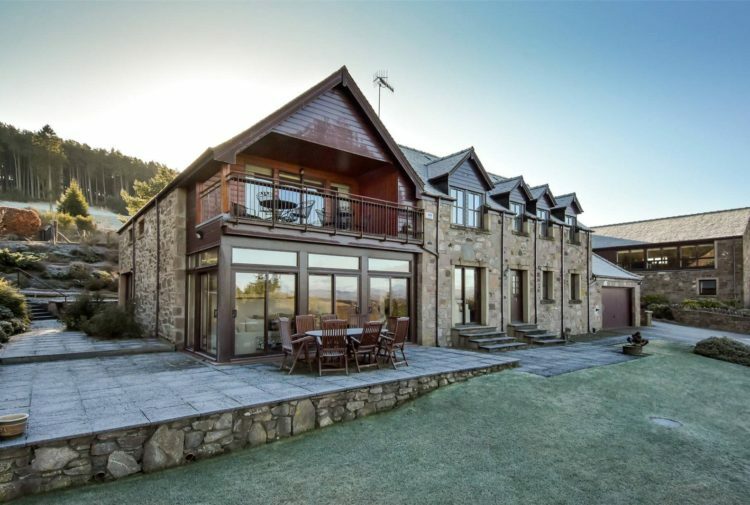 Presented for sale by Galbraith, the property is located in a private and peaceful rural position between the villages of Balfron, Drymen and Killearn in Sitrlingshire. In recent years Ballochruin traded as a successful bed and breakfast with three holiday rental cottages, although at present all properties, with the exception of the farmhouse, are currently let on longer terms. 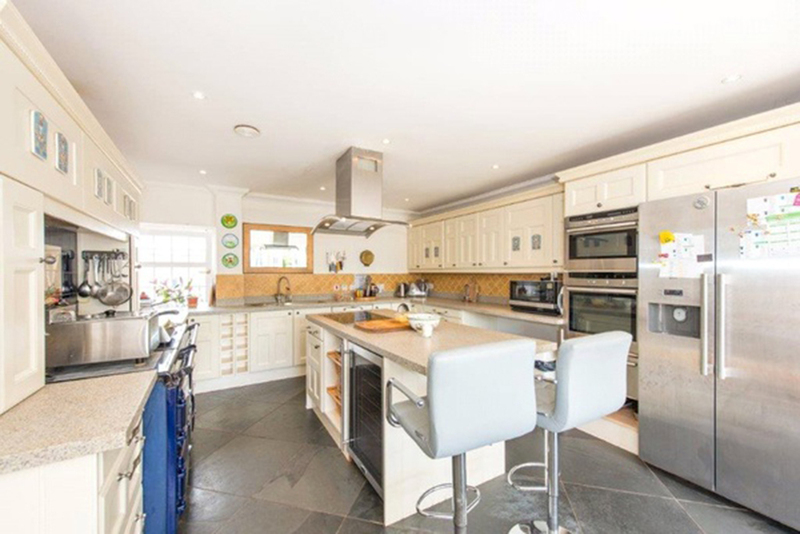 The property enjoys a stunning setting with the land stretching to the Endrick Water and with views towards the Campsies. Ballochruin provides an attractive residential estate in a picturesque yet accessible location within Central Scotland. There is an extensive range of traditional buildings set around a courtyard comprising of four individual residential properties with the potential for a further two dwellings to be created. There is a useful range of modern farm buildings situated adjacent to the courtyard and farmhouse, and two development plots offer an opportunity for the erection of a two bedroom single storey dwelling house and a five bedroom one and a half storey property. The land at Ballochruin extends in total to approximately 12.51 Ha (30.91 acres) and lies to the south of the holding and is bound to the south by the Endrick Water and bound to the east by an area of amenity woodland. 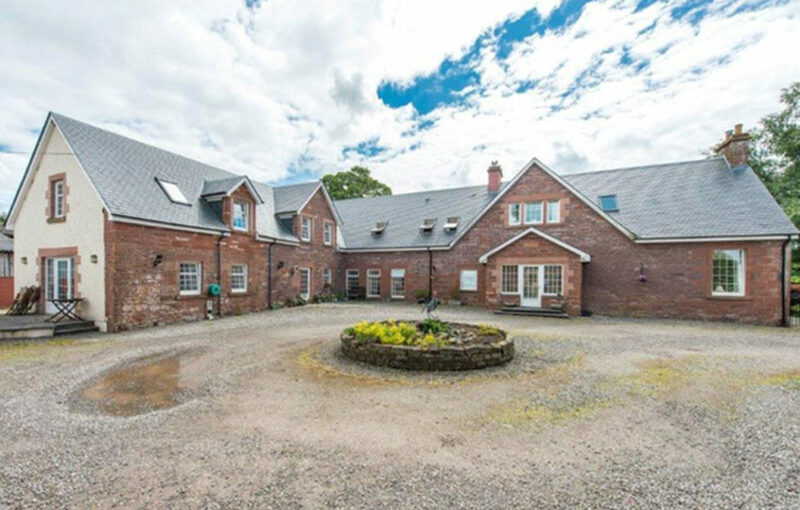 Presently this development has a current turnover in the region of £40,000 per annum, however the development provides the opportunity to a purchaser to comfortably improve on the rental income through reverting to holiday lets and the bed and breakfast accommodation within the main farm house. 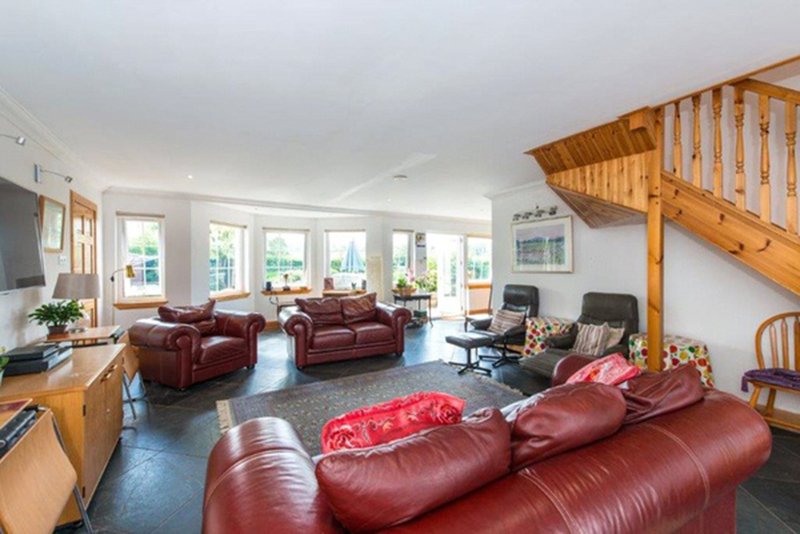 The popular village of Balfron is only 1.5 miles away and offers an excellent range of local amenities including primary and secondary schooling, whilst independent schools can be found in Dollar, Glasgow, Edinburgh and Perthshire. The historic city of Stirling (about 20 miles) offers the full range of amenities including shopping, leisure and business facilities with regular mainline rail connections to Glasgow and Edinburgh. Glasgow is only 17.5 miles away and Edinburgh is about an hour and a half’s drive away. Ballochruin is located in close proximity to an excellent transport infrastructure with the M9/M80 motorway system accessible within about a 15 minute drive. Glasgow and Edinburgh International Airports are only about 25 miles and 50 miles distant respectively and offer regular domestic and international flights. Sitting in the heart of the historic county of Stirlingshire, the local area offers an enormous range of cultural and leisure opportunities. There are some excellent golf courses in the area including a nearby course at Balfron as well as Buchanan Castle and Strathendrick Golf Clubs near Drymen, and the world famous courses at Loch Lomond and Gleneagles are easily accessible. There are private sports clubs at Drymen and Milngavie, whilst Balfron has the Community Sports Centre. The scenic Loch Lomond and Trossachs National Park is only 15 minutes drive to the west and offers world famous scenery with a plethora of recreation and leisure opportunities, including a wide range of water sports. 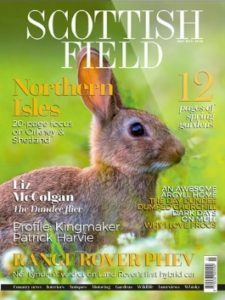 The surrounding hills, the Trossachs and Campsie Fells are extremely popular with hill walkers and climbers and the County also offers excellent opportunities for mountain biking, sailing, pony trekking, shooting and fishing. The sale of Ballochruin offers purchasers an extremely rare opportunity to acquire an attractive residential estate with the opportunity to expand on the existing income stream either through change of use to holiday lets or via the creation of a number of further residential properties by the completion of the residential plots. There is also the potential to convert the existing outbuildings for possible business or equestrian uses subject to obtaining the necessary planning consents. 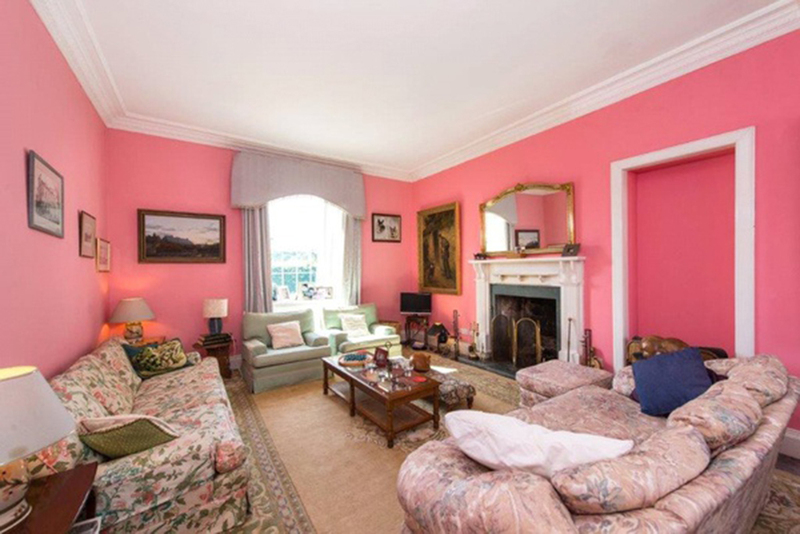 The agents will consider offers over £1.34million.